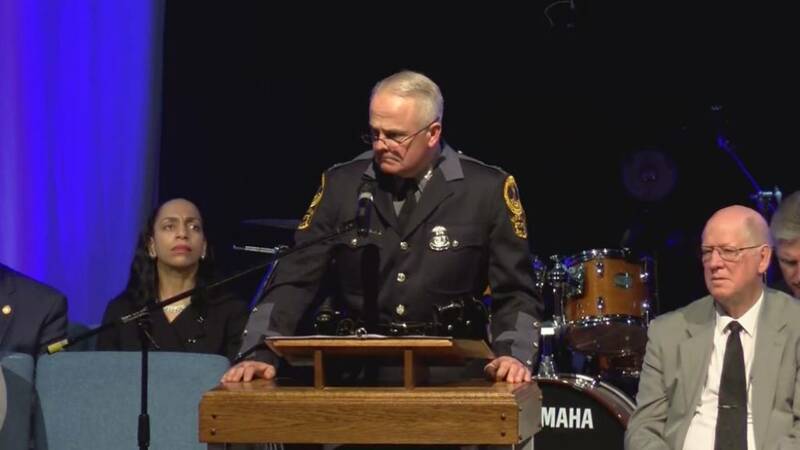 CHILHOWIE, Va. - The funeral Saturday for Virginia State Police Trooper Lucas Dowell was a celebration of his life and a chance for those closest to him to come together and remember what they loved about the 28-year-old. Hundreds gathered at Chilhowie Christian Church as loved ones spoke to the crowd, gave him a final call and laid his body to rest. Family and friends told stories about how Dowell impacted them. They were upbeat at times, happily retelling personal moments. Lucas Dowell’s sister, Erica, told the story of how meaningful a trip she took with her brother to the Grand Canyon was. “Somehow, he'd just make those small ordinary moments the ones that you want to remember,” Erica Dowell said. She said her brother told her he wanted to do a better job of showing the people in his life how much he loved them. “Thinking about all the love that has been poured out over my mom and dad and I for Lucas in the last four days, I believe even more strongly now that what I said to him then was the truth. I said, 'Lucas, you already do that,' and he really did,” she said. Erica Dowell said she's grateful for all that state police have done in the days since her brother’s death. Dowell was killed in the line of duty while serving a warrant this week. Video of the full service can be seen here. Chilhowie is a small Smyth County town off of Interstate 81. On Saturday, it became the center of the law enforcement universe. Troopers from all over the nation came there to pay their respects. Texas State Trooper Sgt. Nathan Brandley drove 21 hours to give a final salute to Dowell. “When I saw the Facebook post at 5 o’clock on Tuesday morning, yeah, it hits you like a ton of bricks,” Brandley said. 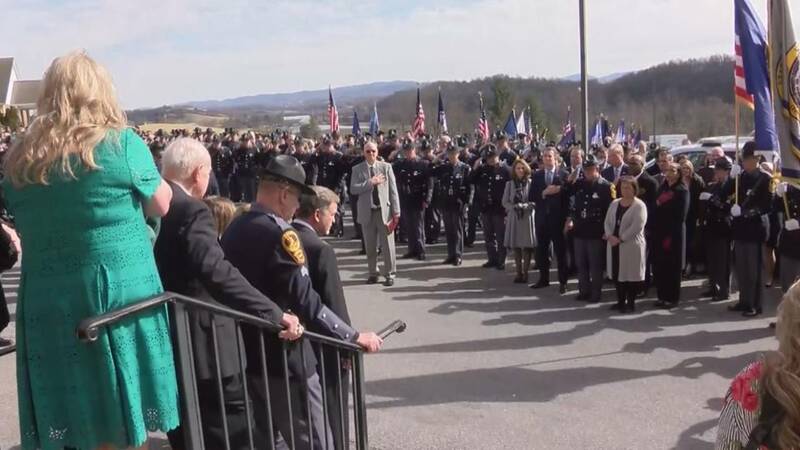 Law enforcement members from nearly every state -- from Ohio to New Mexico and nearly everywhere in between -- came to Chilhowie to say goodbye. “It gives you goosebumps. 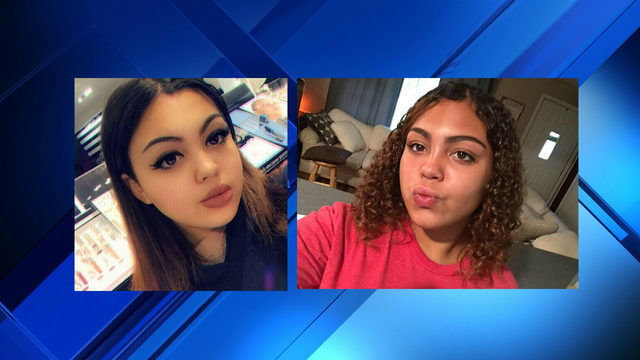 To see that outpouring of love and support for them, their families, and their co-workers, that's what we want to be a part of today,” Brandley said. Hundreds of law enforcement officers lined the streets for Dowell’s final ride, which was a stunning sight for those who knew the hometown hero before he earned his badge, including Mike Billings, one of Dowell’s former teachers. “It's just fantastic that hopefully they got to see just a little portion of the person that Lucas was. They'll understand why he was so special to everyone in our community,” he said. 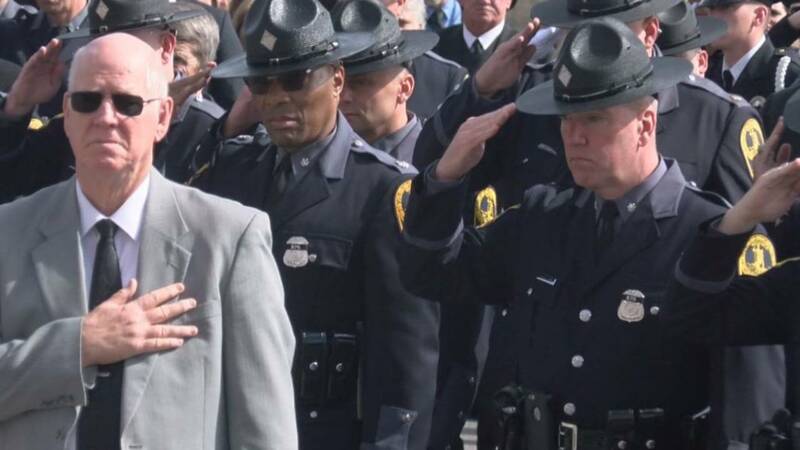 State police leadership under whom Dowell served, including State Police Superintendent Col. Gary Settle, said he was a great trooper and a hero for his actions Monday. “Members of his tac team felt safer with him there. He was the guy fighting for what was right,” Settle said. He added that Dowell was a great storyteller and was full of enthusiasm for the people in his life. “Lucas Dowell is a name everyone one of us here will forever remember. I promise you. His sacrifice we will never forget,” he said. 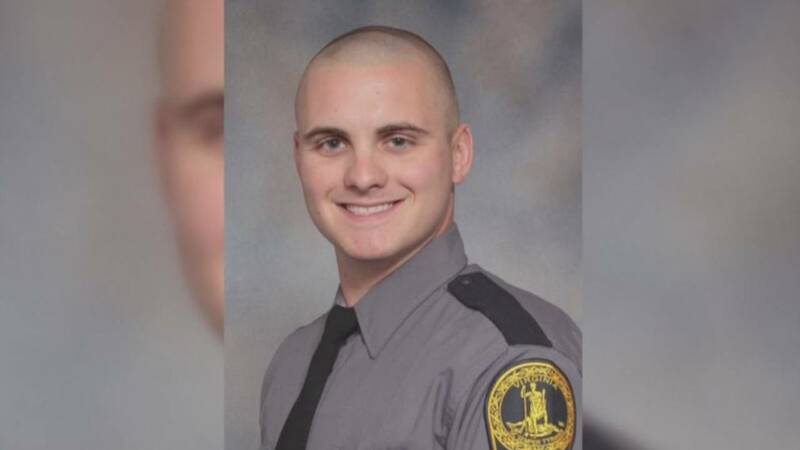 Settle said that Dowell saved the lives of other troopers who were there that day. Fellow troopers said his death weighs heavy on their hearts. 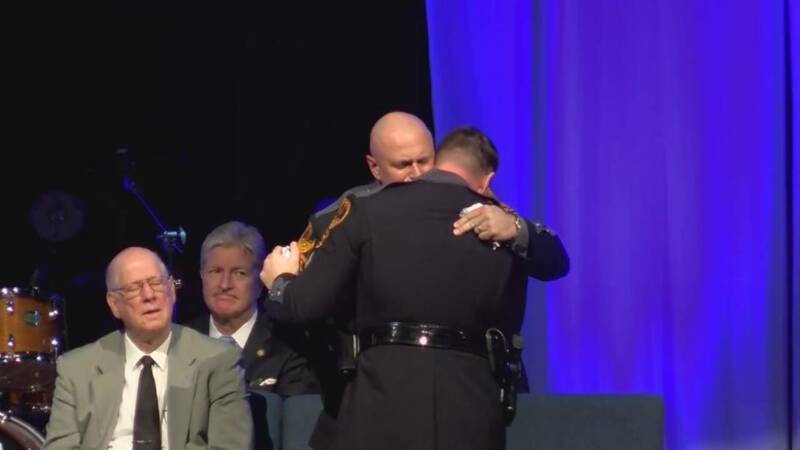 “Lucas Dowell was one of my very best friends, and I'm going to miss him very much,” said Sgt. Matthew Riley, one of Dowell’s former supervisors. Dowell’s story now stretches far beyond Chilhowie. The law enforcement community helped write him a conclusion to remember. “This is kind of the way we wrap our arms around them to show them that love and support,” Brandley said. After the processional, Dowell was laid to rest in Chilhowie. Virginia Gov. 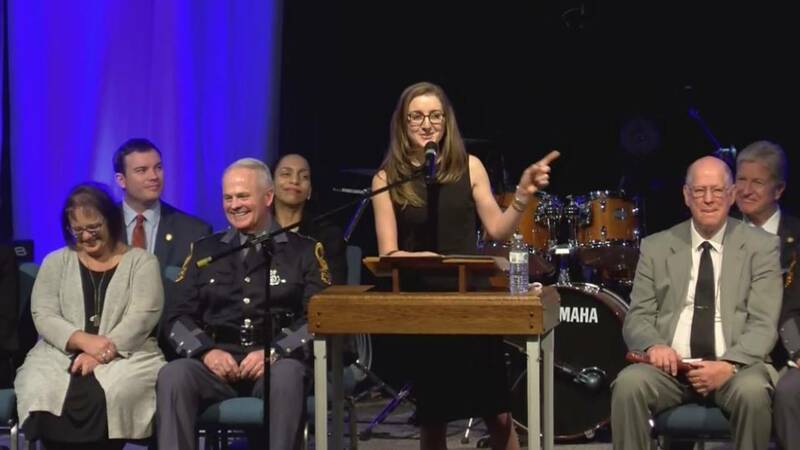 Ralph Northam and Secretary of Public Safety and Homeland Security Brian Moran were in attendance, among other notable guests. Hundreds came out to a visitation Friday. Dowell spent the early years of his life growing up in Chilhowie before studying at Radford University for four years.